Record hubs: Is this the English groove? I hear that early hubs were without textual designation regarding thread pitch. And that in these cases no groove along the flange indicate either Italian or French threads while a single groove indicates English. Just after the threading in the hub pictured here, is a groove. Is this the groove we’re talking about? 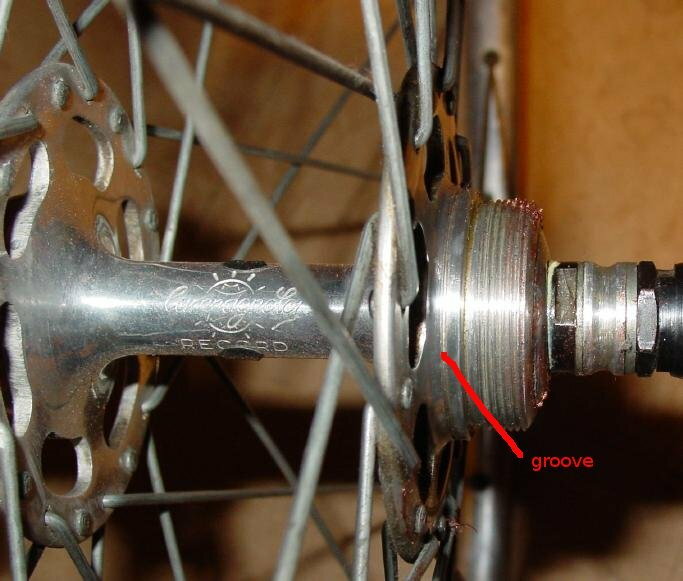 the grooves are machined beyond where the freewheel stops, between that and the spoke flange. and yes the secret decoder is plain, Italian, one groove English, double groove French. So... the recess directly behind the threads is a bit of machined relief in all versions. But further back from that, right at the base of the flange is where we’d find a single narrow groove (English), two grooves (French), or no groove at all (Italian). Makes sense now. Thank you guys. Last edited by deux jambes; 03-20-19 at 09:36 PM. a correctly laced wheel too. Just the oil clip is on vacation. 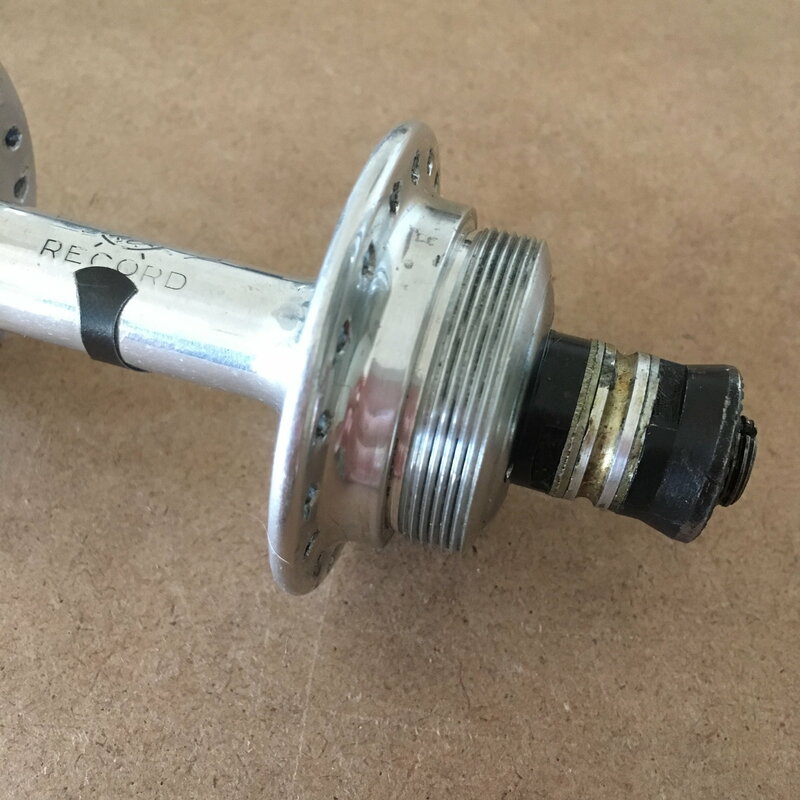 I've run English threaded freewheels on Campy Italian threaded hubs before with no problems. [left]So... the recess directly behind the threads is a bit of machined relief in all versions. But further back from that, right at the base of the flange is where we’d find a single narrow groove (English), two grooves (French), or no groove at all (Italian). Me too, for the most part. 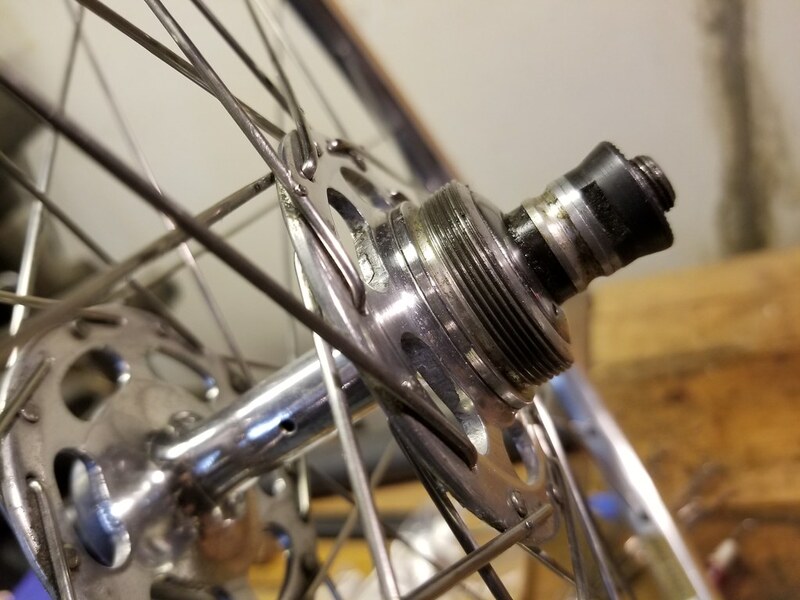 With one italian threaded hub, I really had to work the standard freewheel back and forth the first time I threaded it. Had to use the park tool and a wrench to get it on. After I got it on the first time, it was fine.